.925 sterling silver on cotton cord. 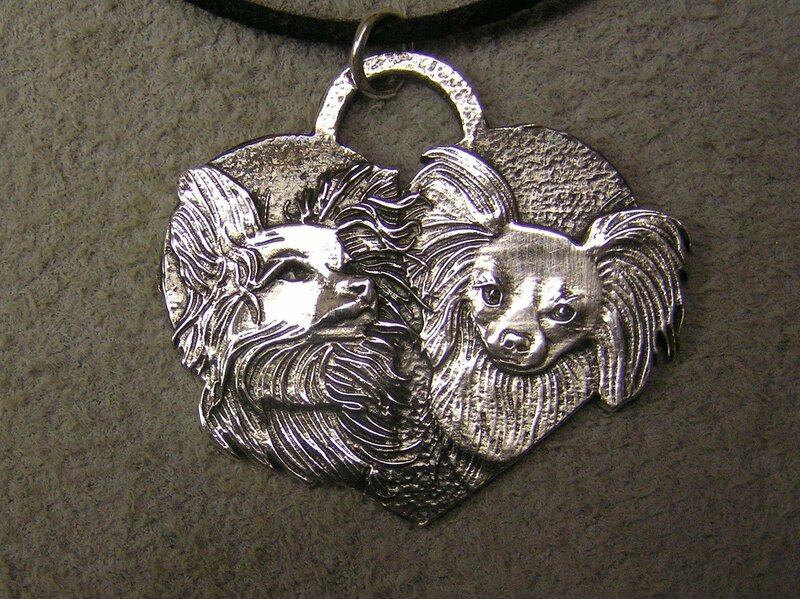 This is 2 Papillon, in a heart shaped pendant. Sterling silver on a cotton cord.